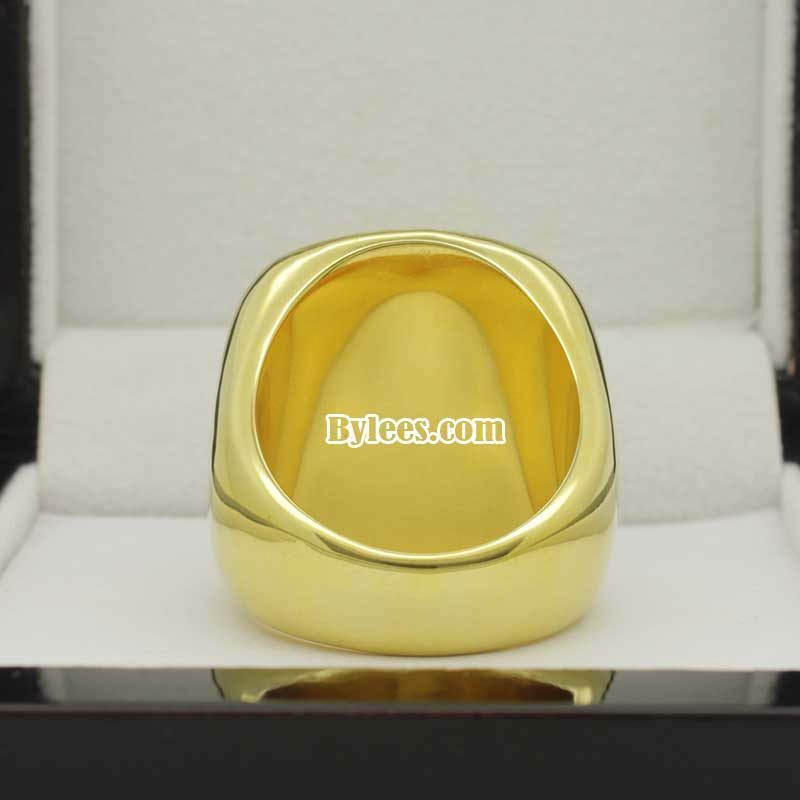 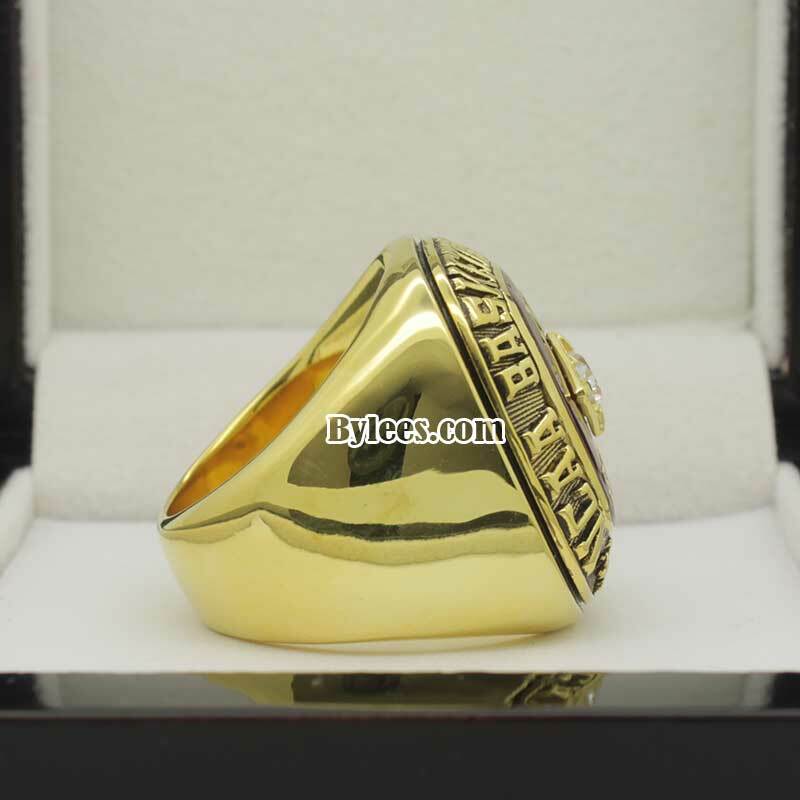 1983 NC State Wolfpack Basketball Championship Ring commemorated the national champion of 1983 NCAA Division I Men’s Basketball Tournament for North Carolina State . 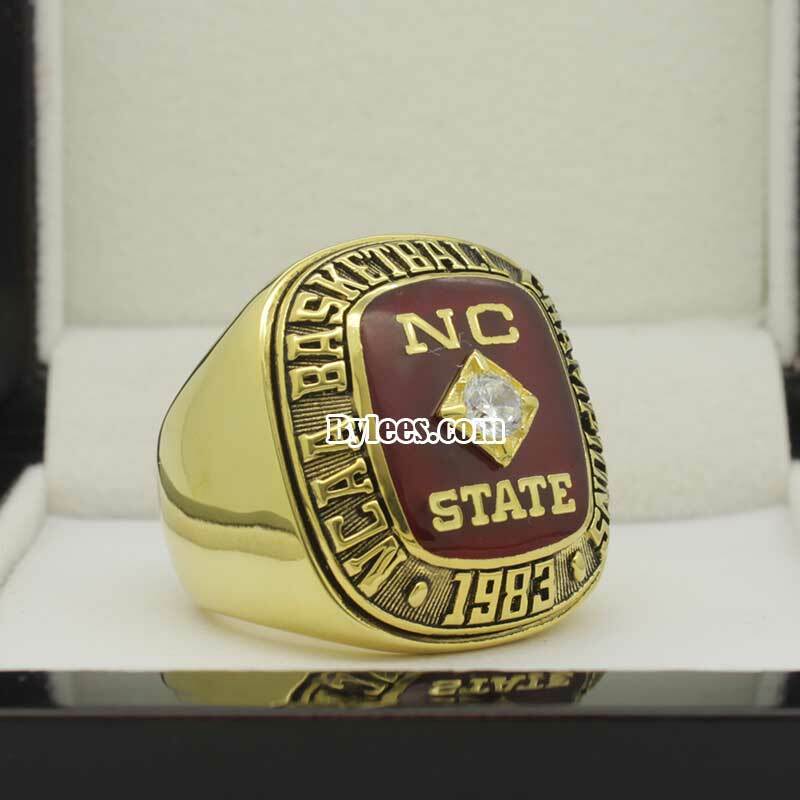 The Wolfpack as member of ACC went 26–10 on the year, winning the ACC Tournament and eventually the NCAA men’s basketball 1983 national championship ring. 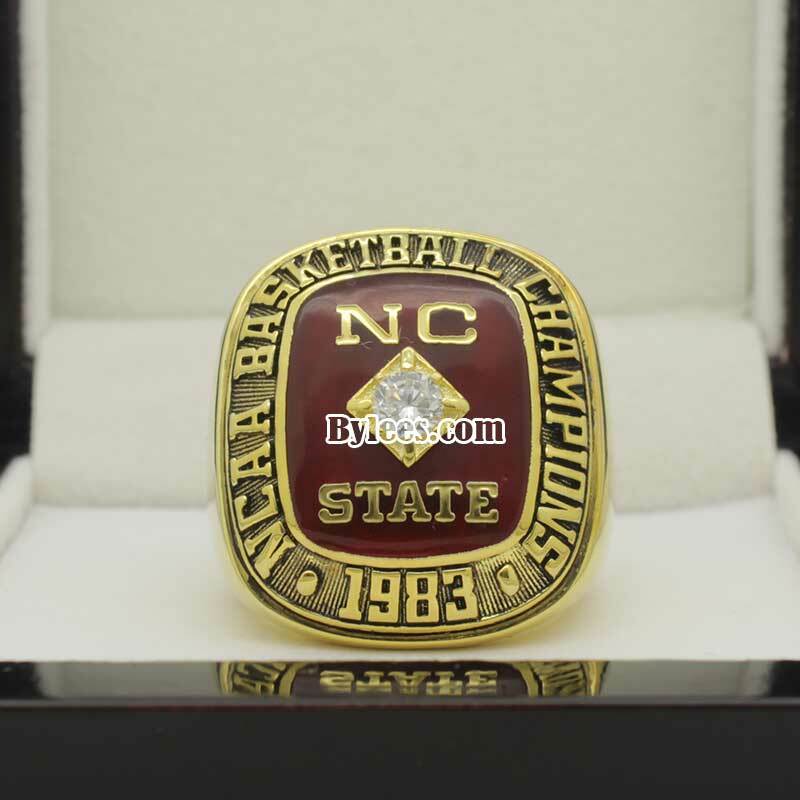 The 1983 wolfpack basketball championship ring is also the sencond and the latest NCSU basektball national championship ring. 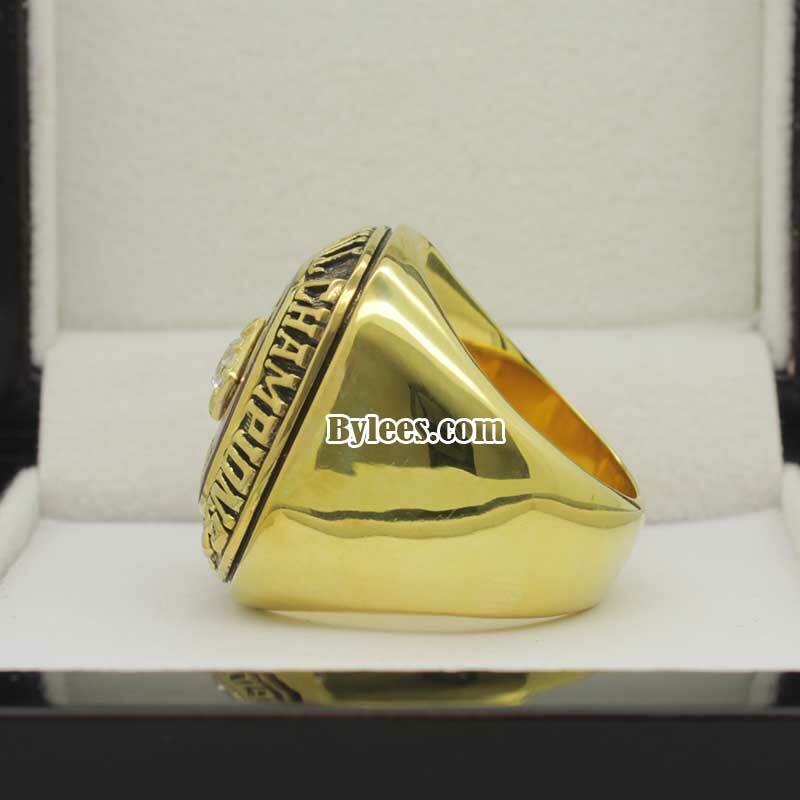 The design is very simple and with blank shanks. 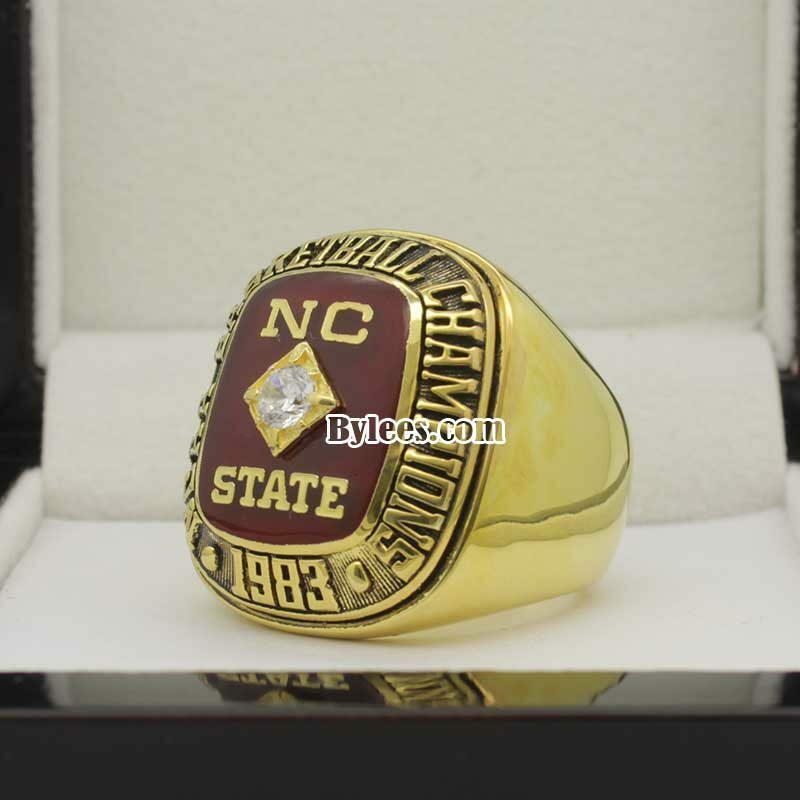 so if you want to custom the NC state 1983 championship ring with your name and number, you choose any side of the shanks. 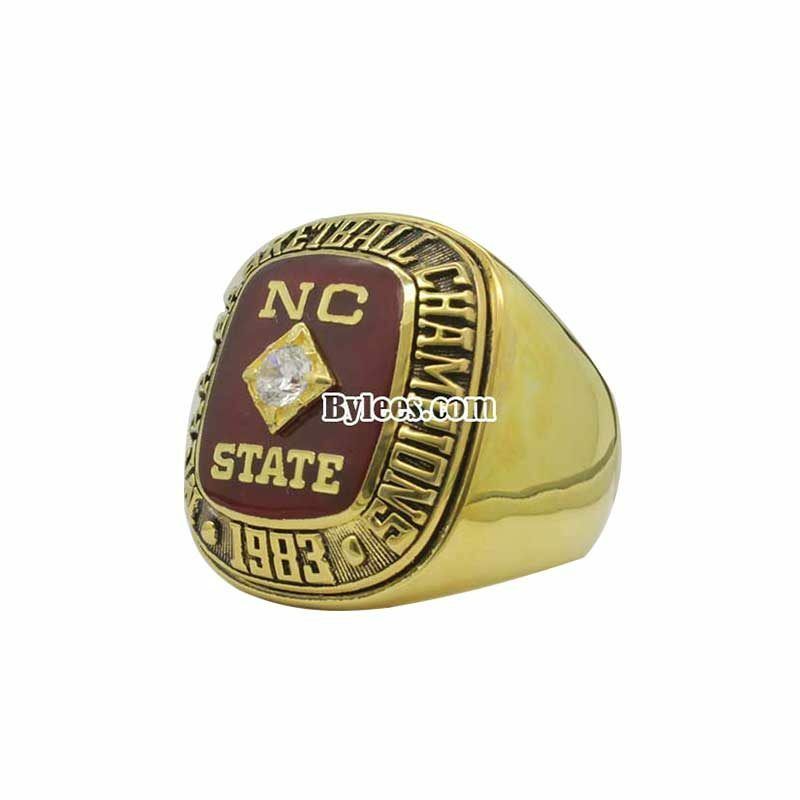 Hakeem Olajuwon was the MOP of this year, but he was not as player of NC state.